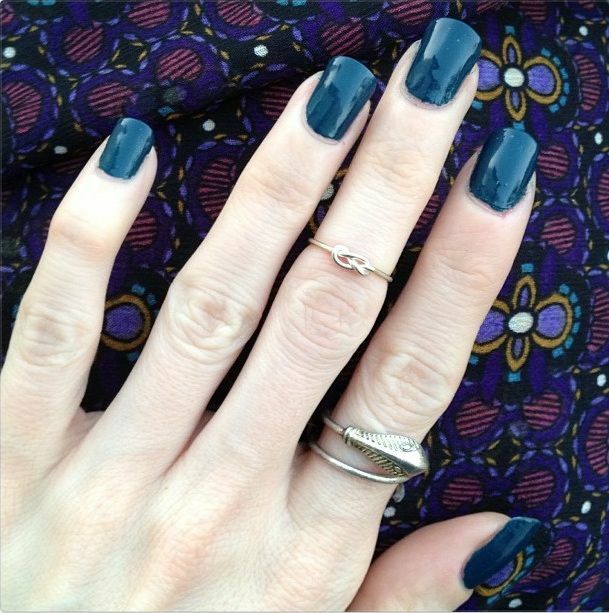 This is one coat of OPI’s Ski Teal We Drop from the Swiss Fall 2010 Collection. Dark Teal Creme. This is the type of color you don’t see often, but you definitely need – especially for fall. It’s a gorgeous dark (yet not too dark that people will mistake it for black) teal crème that is absolutely stunning to look at. Plus…this is one of those elusive one coaters that has such awesome pigmentation and formula that opacity is immediately achievable – in other words…I can’t help but to rave about it. If you’re looking for a slightly unusual fall color (i.e. not red/cranberry/plum), this is definitely it. I can't believe that's only one coat! Oh I love this color! I'm wearing "Michelle" from Julep's boho glam..that I won, right here! And I love it. I was showing off my nails to a friend Saturday and she loved it. Such a wonderful color for this time of year! Lovely rings, as well! I think I'd wear "teal" a lot. So glad you posted about this color. I usually wear a lot of dark grays and browns this time of year. Lovely color! Where do you get all of your nail polish? Online? I went to Sephora this weekend and they seemed to be out of EVERYTHING. What an amazing tone of blue...I love it!! I haven´t enough time yet for doing my manicure today, but I bought last week from Dior, Dior Vernis nº853 - RED MASSAÏ , that is fantastic...I recommend it!! By the way, if you want, you can already follow my blog on Bloglovin and on Facebook!! Love your knot ring. I need to get one for myself! 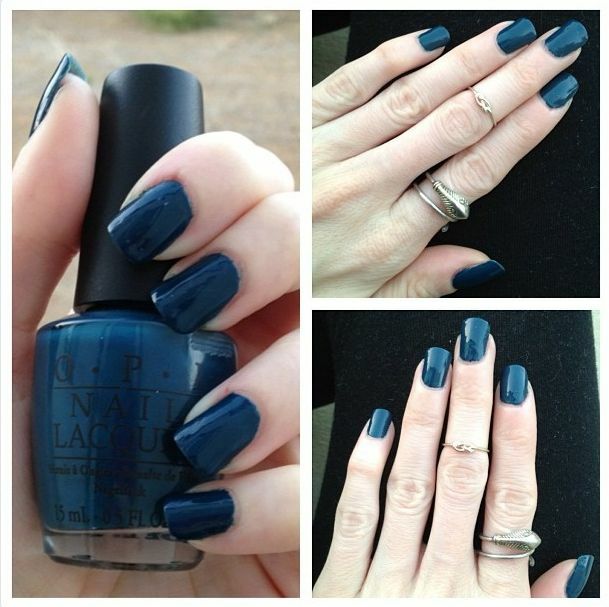 Ooh, this is the perfect color for fall. Reminds me of a midnight blue color. Love!! That's a gorgeous color. It looks great on! It's a great dark blue and a super cute ring. Oh pretty! And I do love that knot ring. Always such a nice touch to your manicure posts. Love that color, it's so pretty! wow!! this color is stunning, I'm madly in love with it...It looks nicer as your nails length and contour is also perfect. Oh what a great color! super awesome color, i haven't tried it yet! I need this nail colour in my life! I've been on the hunt for a midnight blue tone for ages. I need more teal - great shade dear! TEAL is a Fav color! !